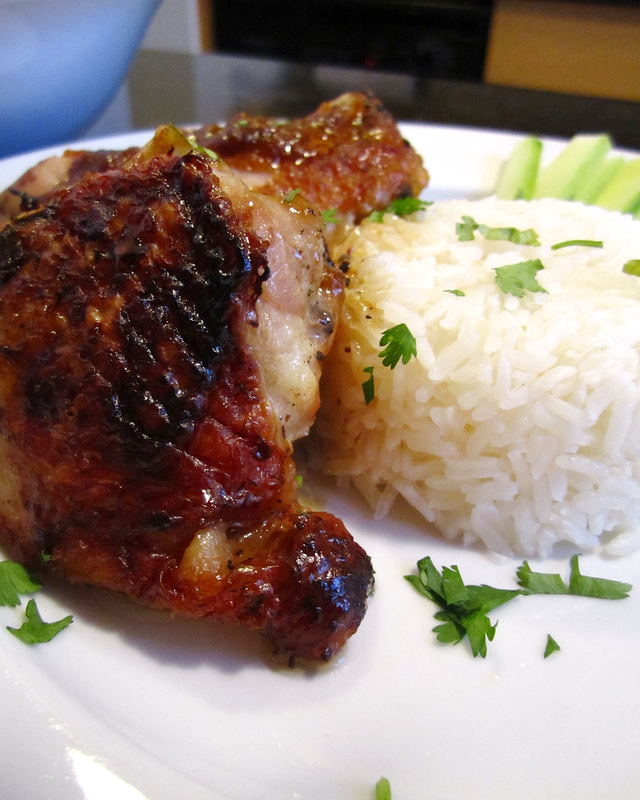 This is a very easy chicken dish to make and doesn't require you watching the stove constantly. Use dark meat, preferably on the bone because it stays juicier longer. Heat a cast iron skillet over medium to medium-high heat. 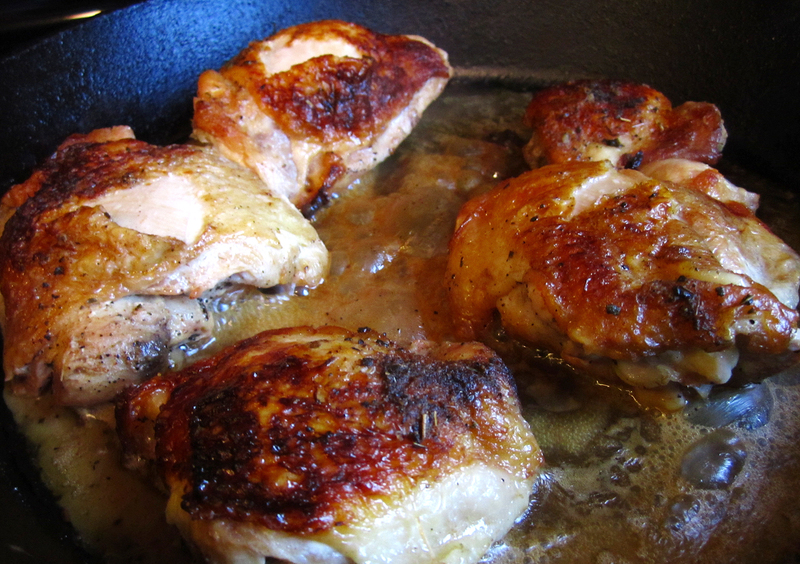 If cooking skinless, add 1/2 tsp oil after the pan gets hot. Place chicken into skillet gently (if with skin, put skin side down) and sprinkle with the dry seasoning (mix them in a small ramekin first) and cover it. Cook for 3 minutes (careful when opening, there will be spattering), then turn pieces over and cook another 3 minutes. Turn them so the skin side would be up and lower to low heat. Don't drain all of the oil (if you do at all). Add chicken broth. Keep the cup of water next to the stove and check it every 3 or 4 minutes. If the stock is drying out, add 2-3 Tb of water to keep it moist and steaming. Cook for at least 20 minutes, preferably 30. In the meantime, prepare the sides. 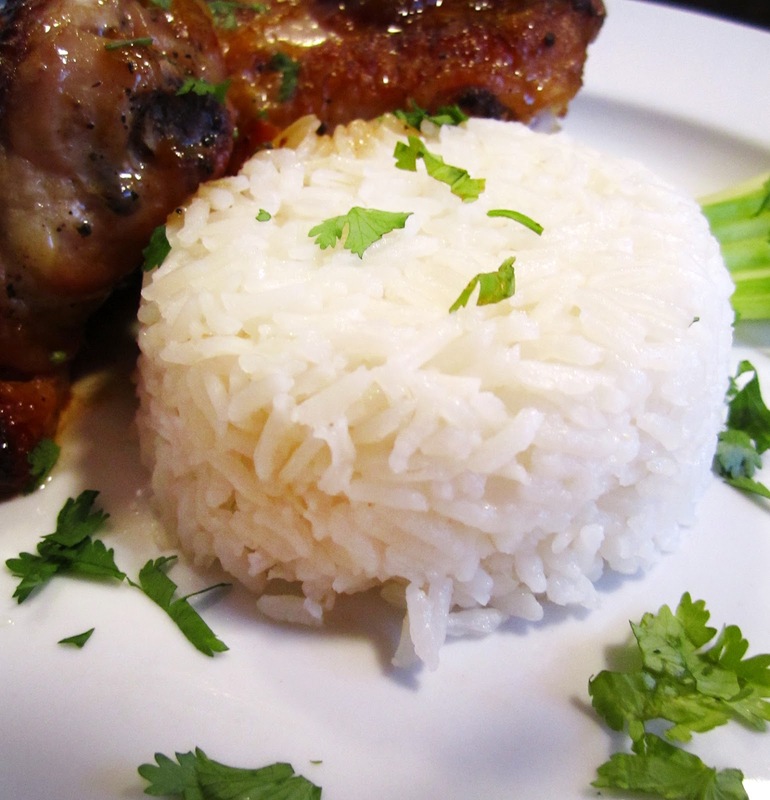 It pairs well with rice (white or brown) and a simple salad, or go big and serve it with egg noodles and green beans. Cooked to the right point, the pan should have a nice layer of seasoned stock. For a nice variation, add olives or capers to the pan before the chicken finishes. The stock should provide sufficient salt, but you can add some sea salt after cooking if it isn't enough. 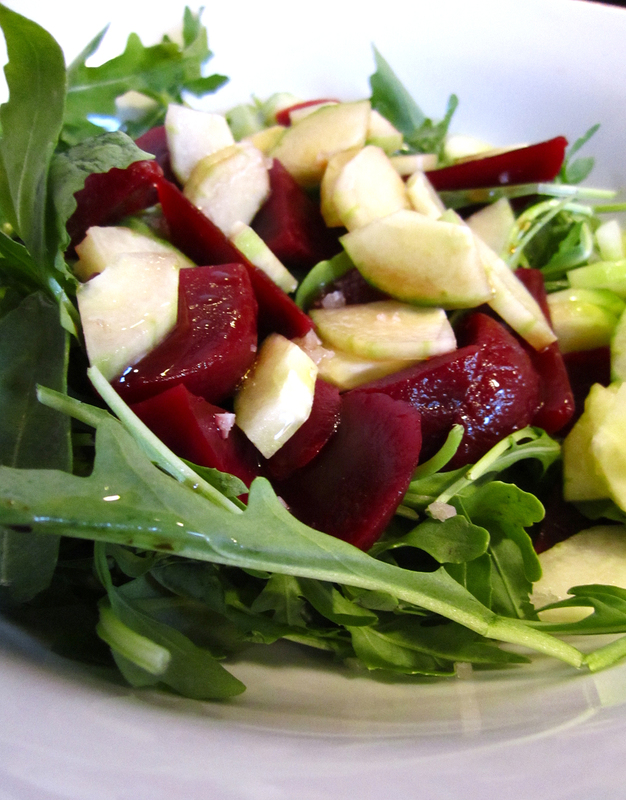 For this salad, I used arugula, cucumber and marinated beets. Some of the beet juice got mixed with balsamic and olive oil to dress it.